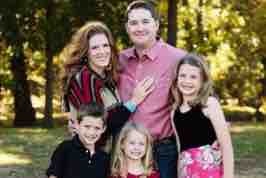 We are deeply saddened by the sudden passing of Jenks’ parent Erin Van Horn and her 10-year old son Zach. We, the friends and family of the Van Horn family, are still in prayer for his daughter who is still in critical condition. Our most heartfelt condolences are extended to all families affected by this tragic accident, and our thoughts are with those who are recovering both mentally and physically from their injuries. We wish them all a quick and complete recovery, and we urge everyone to l the privacy of the families during this most difficult time. We know money can not bring back those that are lost, our prayer is that we give the families involved the space to grieve and deal with this loss. Thank you in advance for your thoughts, prayers, time and treasure. I wanted to take a moment to thank the more than 1000 donors who gave out of the kindness of their hearts. I thank God for those who gave and for those who wanted to give, but had it not - I am confident that your generosity, thoughts and prayers have meant the world to Matt and the girls. From the bottom of my heart and with everything I have in my being - THANK YOU! I am working my way through the list to thank all of you personally either via email or Facebook. Words will never be enough to thank each and every one of you for your kindness, generosity, thoughts and prayers - Thank you! In thinking about both families and their losses, I wanted to ask all of you if anyone has contacts at the George Kaiser Family Foundation and/or the Tulsa Community Foundation? I would like to see if either or both would match the gifts given, up to $100K and make a contribution to the Jenks Public Schools Foundation in honor and memoriam of all of the children involved. This tragedy has touched so many, especially in Edmond and the Greater Tulsa area and I know this is a lot to ask, but please feel free to connect with me via Facebook, or email damienmwilliams77@gmail.com, with any thoughts or feedback. I just had to share this from Zac's best bud Cooper...Coop did this to his helmet in remembrance of Zac - wow! From babes, come perfected praise. I am overwhelmed by your generosity and support. 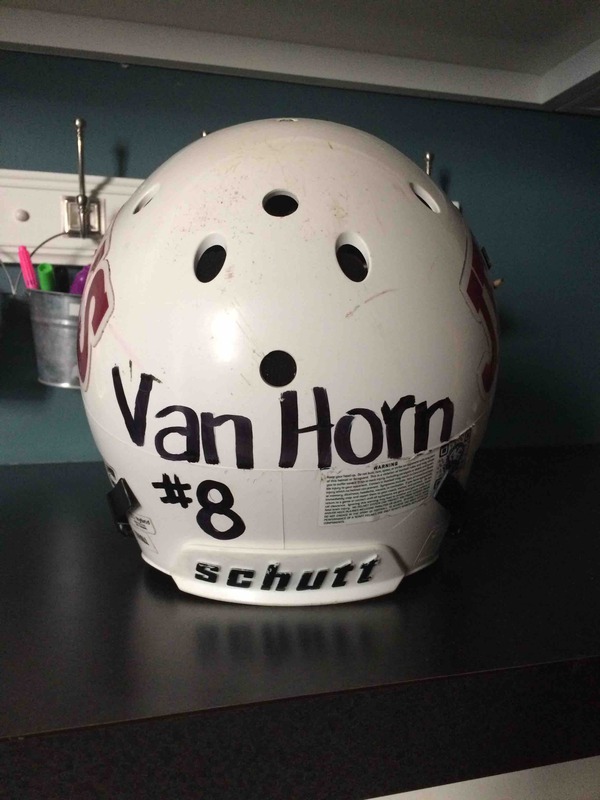 Thanks to everyone who has given in support of The Van Horn family. Please keep the sharing going on social media - its amazing what a community can do in less than 8 hours when it comes together - I am humbled.